Bomb attacks, ambushes, mysterious illnesses — militant leaders in eastern Ukraine often die in violent and dramatic ways, even far away from the frontline. And now, Alexander Zakharchenko has died in a bomb blast. 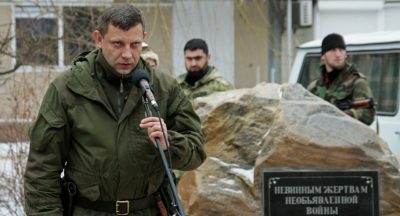 Rebels in Ukraine are still reeling from the assassination of the head of the self-proclaimed “Donetsk People’s Republic,” Alexander Zakharchenko, who was killed by a bomb blast on August 31 while sitting in a coffee shop in downtown Donetsk. The entity’s “finance minister” and a youth leader were injured in the attack. The rebels say they captured “Ukrainian operatives” after the bombing. However, 42-year-old Zakharchenko is only the latest in a line of rebel commanders who have died in dramatic ways. Another Donetsk leader, Vladimir Makovich, briefly served as the “vice speaker” of the rebel assembly in 2014 before fading into the background of the rebel administration. He died in 2017, with the official cause of death being a brain tumor. He was 54-years-old. Just a few months before Makovich’s passing, battalion commander Mikhail Tolstykh was killed when someone fired an incendiary rocket at his office outside Donetsk. Tolstykh, better known by his nom de guerre “Givi,” was 36 at the time. All in all, nearly a dozen high-ranking militants were killed in the last three years. Others faced unexpected diseases.